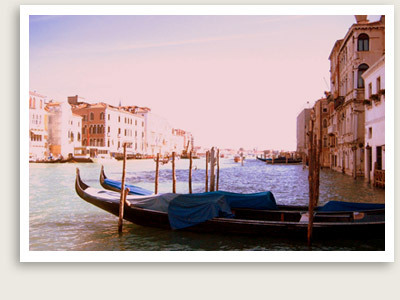 Ca’ Rezzonico Tour Includes: Entrance tickets, services of your private, licensed local tour guide. This private guided tour will take your through the Ca’ Rezzonico, otherwise known as the Museum of 18th Century, set in one of the most beautiful palaces on the Grand Canal in Venice. The Rezzonicos were a family of rich merchants who became part of the new aristocracy. This palace, completed in 1756, became their lavish home in Venice. The palace has been the site of the Museum of the 18th Century since 1936. Here you can admire the splendors of that age, viewing masterpieces by Tiepolo, Guardi, Longhi, and Canaletto, as well as a collection of antique Venetian glass and the Rezzonico’s original furniture. The collections aside, the palace itself is notable for its elegant staircases and intriguing rooms to include a Chinese-style salon, bridal chambers known as the Throne Room, and a beautiful ballroom. You can extend this private tour of Ca’ Rezzonico to visit a chemist’s shop and incredible painting collection, donated to the Venice City Council, housed separately on the third floor. This collection deserves a visit of its own, particularly for those that have already visited Ca’ Rezzonico. Another option in the area is to visit the Museum of 17th Century Fashion and Costume in the Santa Croce district.